Wowâ€¦location, location, location and Massive Curb Appeal. This Immaculate Home located in the desirable area of Ridgewood Heights features two spacious bedrooms and one full bathroom, new laminated flooring in the living area and Central Heating/AC. As you step into this home you will be amazed by the open floor plan concept and the spacious kitchen layout with solid maple cabinetry and granite counter tops. The iron & wood gate opens to a long driveway leading to the fully dry walled two car garage; direct access to the large private back yard and covered patio perfect for playing and entertaining! 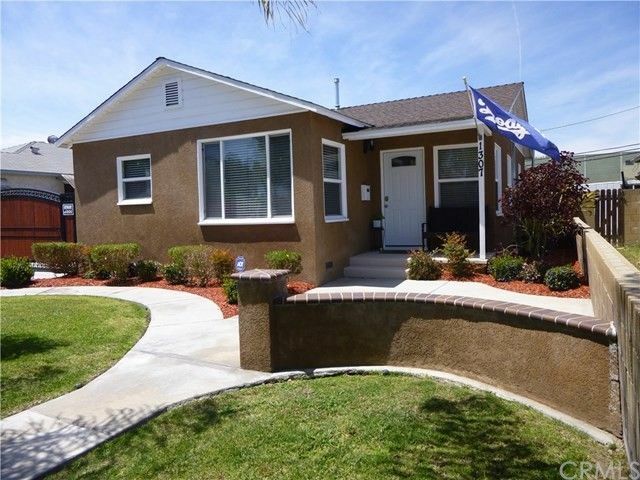 This property was completely updated in 2010 with new roof, new windows, new electrical panel, new kitchen cabinetry, new stucco, new gate and wood fences. Come check out this property! You will not be disappointed; the only thing missing is YOU!